After twenty-five trips to Mexico in the past ten years, I’ve visited a lot of great cities, towns, and ruins. I often stay in one place for a few days, taking day trips to outlying towns or sites. Here’s a list of ten of the best day trips I’ve taken, presented in alphabetical order. 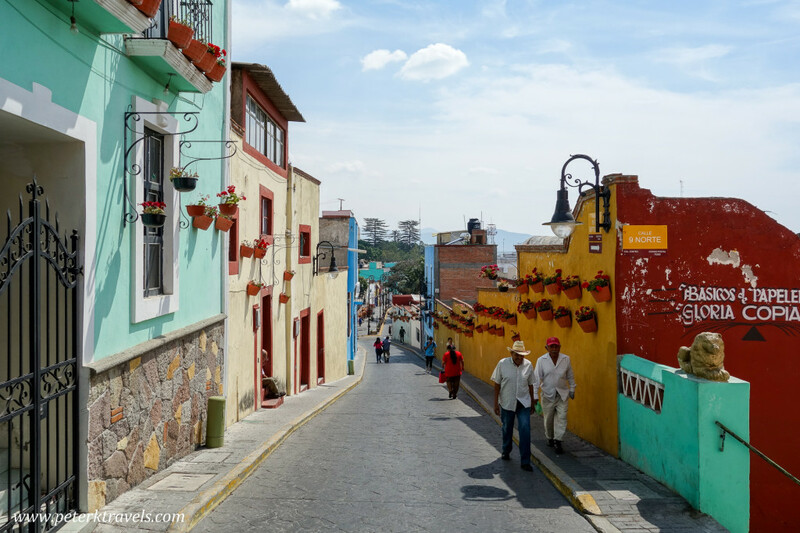 Looking for a smaller town experience while visiting the Puebla area? Give Atlixco a try. It’s a beautiful small city nestled beneath the Volcano Popcatepetl, easily reached by bus from Puebla in an hour or less. There are some fantastic churches, beautiful streets, and a great view of the Volcano. What to do: Visit churches, sit in the square, enjoy the view of Popocatepetl. Bernal church with Peña de Bernal in the distance. Bernal is one of Mexico’s Pueblos Magicos — a town being promoted by Mexico’s Secretariat of Tourism for having special historic or cultural significance. It combines the charming town of Bernal with a large monolithic rock nearly 1,500 feet tall. What to do: Climb the Pena de Bernal, shop in the town, enjoy some good food. 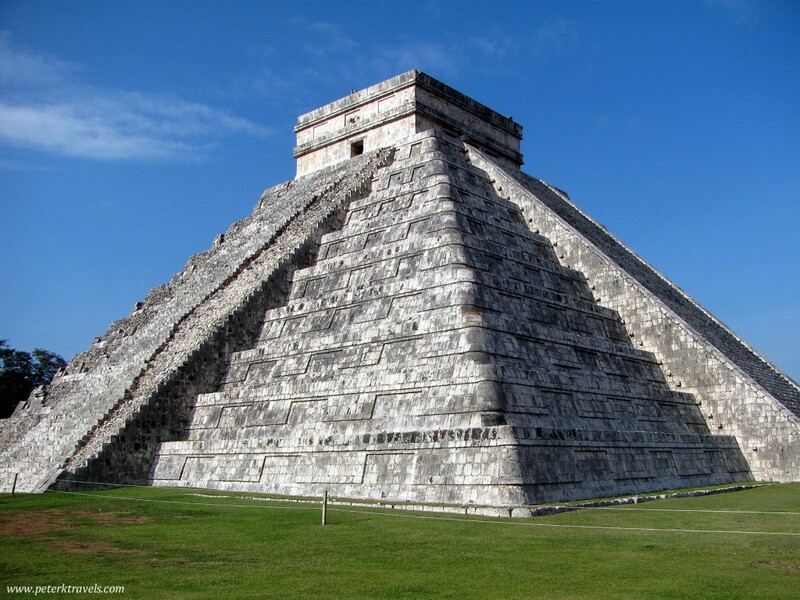 Perhaps the most famous Mayan ruin, Chichen Itza was named one of the new seven Wonders of the World. It’s hugely popular, and rightly so. The easiest way to visit is often to take one of the dozens of trips sold in Cancun or Playa del Carmen. While inexpensive and easy, these often arrive simultaneously, creating long lines and crowds. For a different experience, stay in Valladolid or Merida, and try to arrive at the park when it opens at 8:00 a.m. You’ll have the place to yourself, there will be few vendors, and it will be cooler. What to do: Enjoy the ruins, maybe visit a cenote afterward. 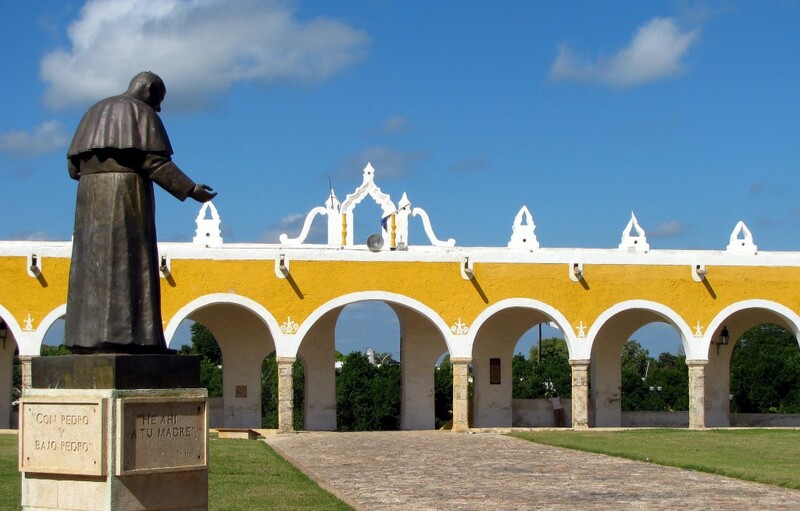 Located about 65 kilometers east of Merida, Izamal is a fantastic town that is worth a daytrip. The entire town is painted yellow, making for some beautiful photos. 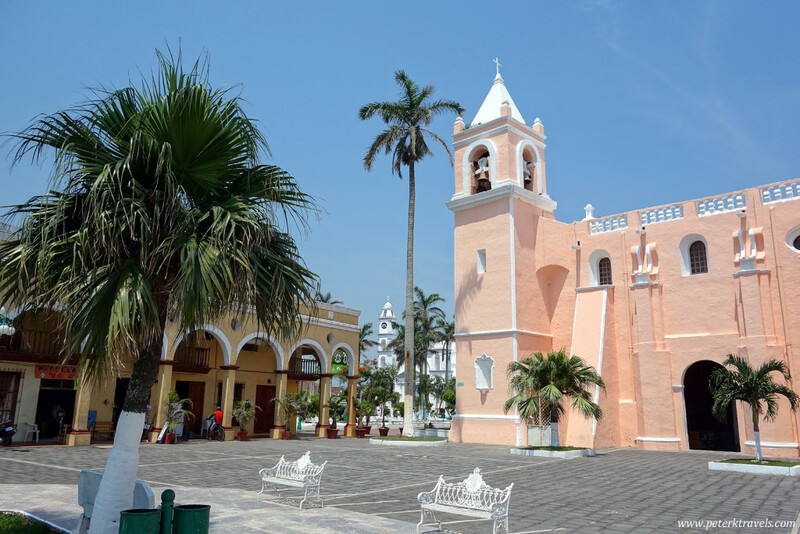 In addition to the Convento de San Antonio de Padua (pictured above), there are also Mayan pyramids inside the town that can be climbed. What to do: Visit the convent, climb Mayan ruins, take a horse carriage ride. The indigenous Maya culture in Chiapas is very strong, and visiting Chamula and Zinacantan will give you a glimpse into that culture. The church in Chamula is not to be missed — just don’t take any photos inside. I strongly suggest going with a tour guide who can explain the different customs, clothes, etc, that you will see in these villages. 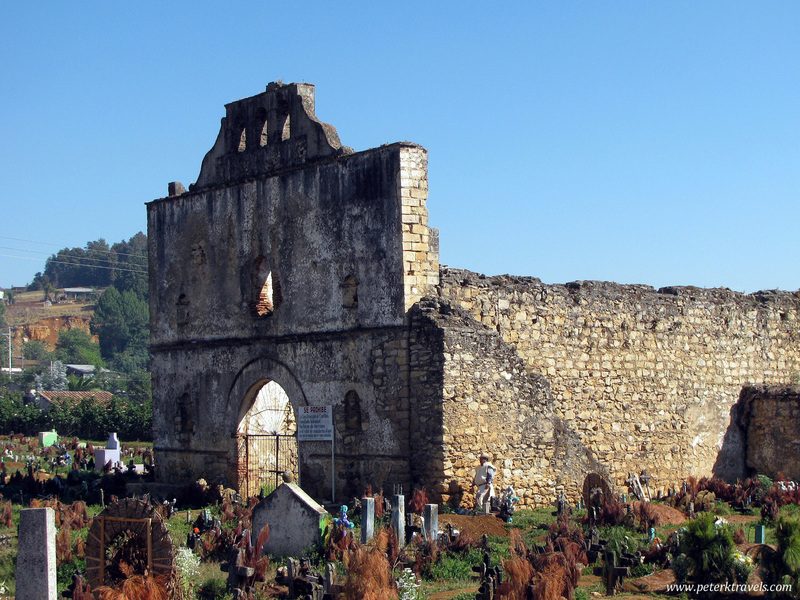 What to do: Take a tour of the town and church, learn more about the culture of Chiapas. When visiting San Cristobal de las Casas or Tuxtla Gutierrez, try not to miss taking this tour. The Grijalva river has cut a canyon with walls as high as 1000 meters. There are lots of interesting rock formations, plus birds and crocodiles. It will be hot — wear a hat. What to do: Take a boat ride and see some awesome wildlife. Taxco can be visited from Mexico City as a day trip, but it might be even better to stay overnight. The town is famous for its silver, and features beautiful buildings and curvy streets. It’s easy to get lost here, and imagine what it might have been like a few hundred years ago. 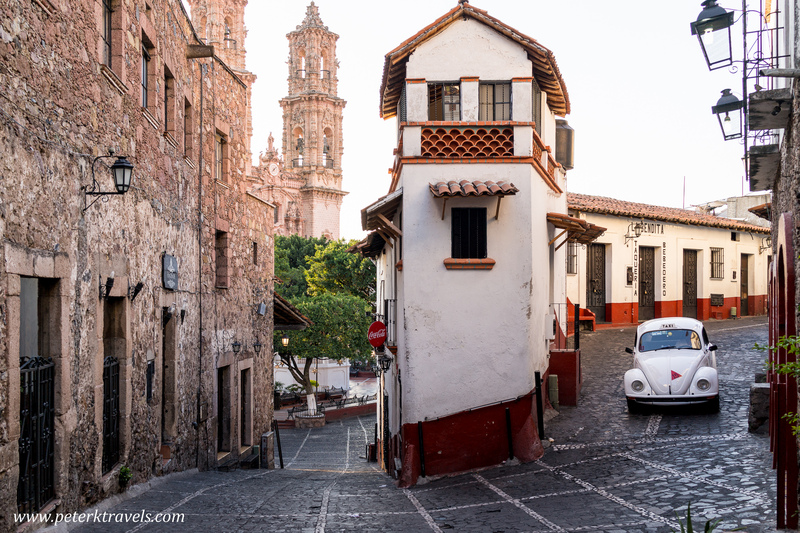 Well, at least until one of Taxco’s famous white VW Bug taxis comes screaming around the corner — which happens with great regularity! What to do: Shop for silver, dine out, walk the city looking for good views. 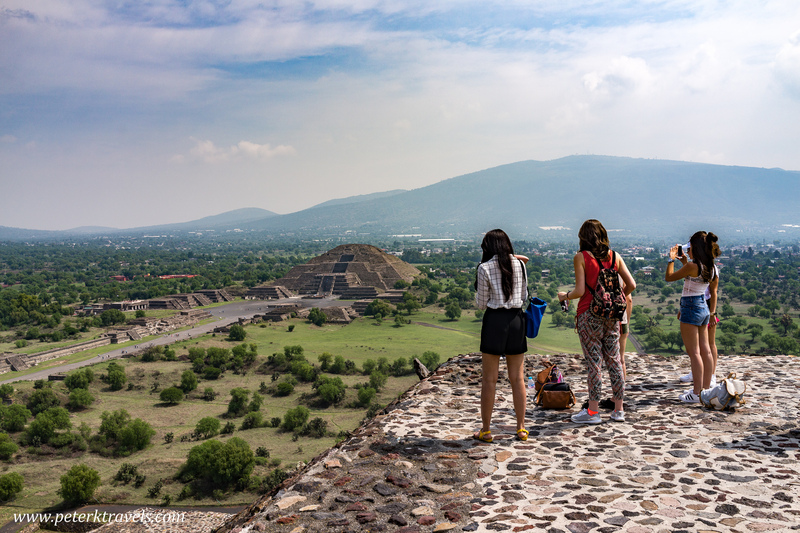 A classic day trip from Mexico City, Teotihuacan is not to be missed. The giant pyramids date from before the Aztecs, and are in remarkable shape. Tours are easy to find, or you can do it yourself via the metro and frequent buses. Click the article below for more details. What to do: Climb the pyramids. 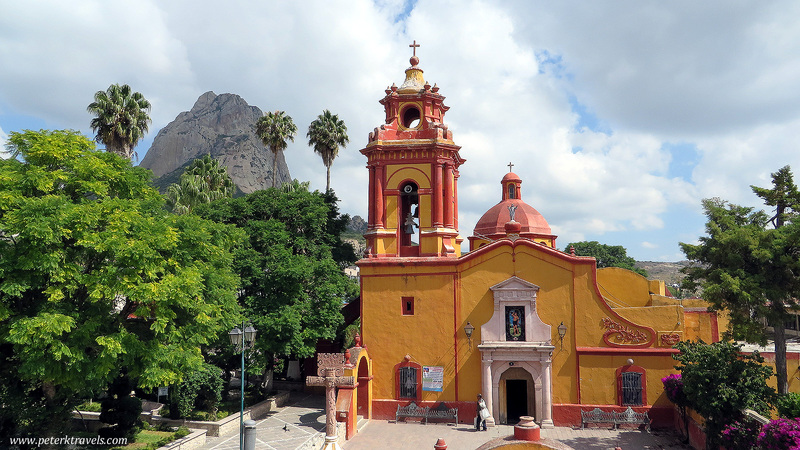 Tepoztlán is a fun, interesting town nestled in the mountains near Cuernavaca. It’s pretty easy to get to, and a great place to wander around for a day. 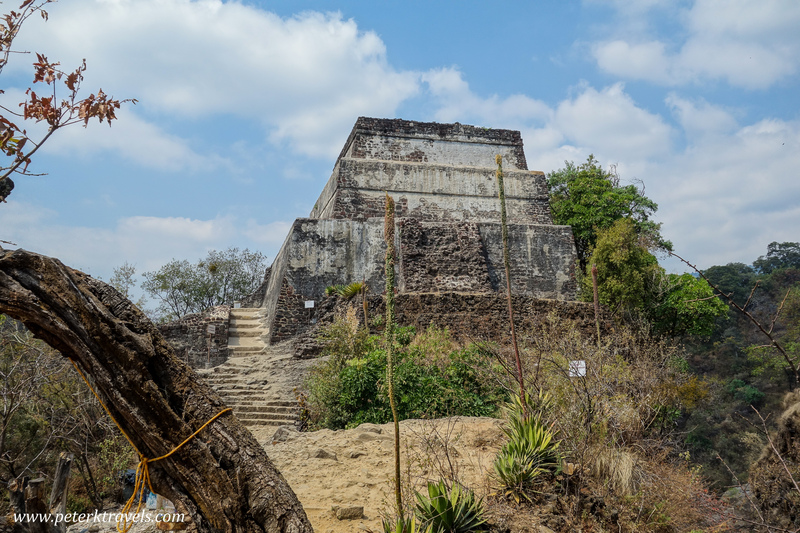 If you’re up for it, you can climb up to the pyramid of Tepozteco, taking in beautiful views and some lung-busting stairs. Like several other places on this list, it’s also a lower-key place where spending a few days might be just what you’re after. What to do: Climb to the pyramid, enjoy dining and shopping options. Here’s one that won’t make anyone else’s list, but is worth the effort. 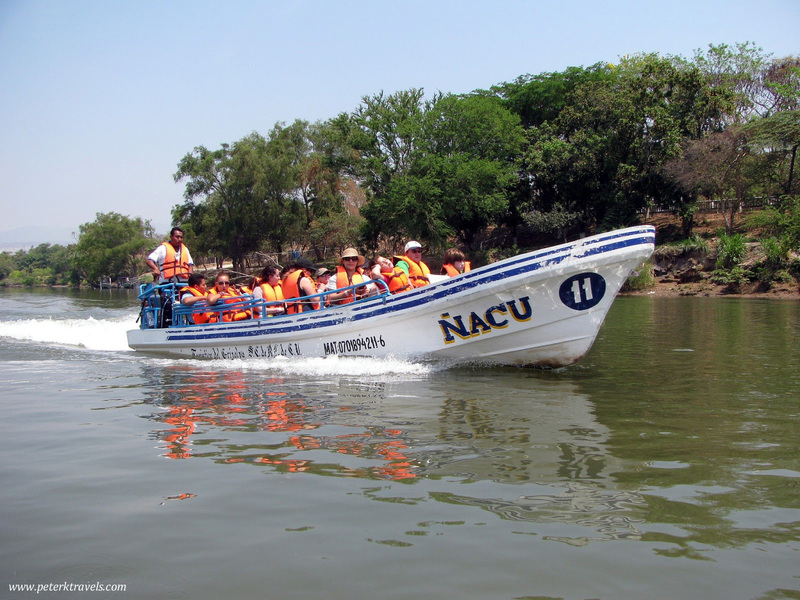 Tlacotalpan is a UNESCO site, primarily for its unspoiled colonial layout and architecture. The town is somewhat unique as a port, but inland on a river. The brightly colored buildings with portales are beautiful, but the intense heat might not be for everyone. I enjoyed my day here, so if you’re in the area, check it out. What to do: Walk the town, enjoy brightly colored buildings. So there you have it — ten of my favorite day trips in Mexico. Which ones are your favorites? 4 Responses to "Ten of the Best Day Trips in Mexico"
Beautiful photos! Some of mine would include Tzintzuntzan, any of the craft villages around Oaxaca, and Dolores Hidalgo for the ice cream. 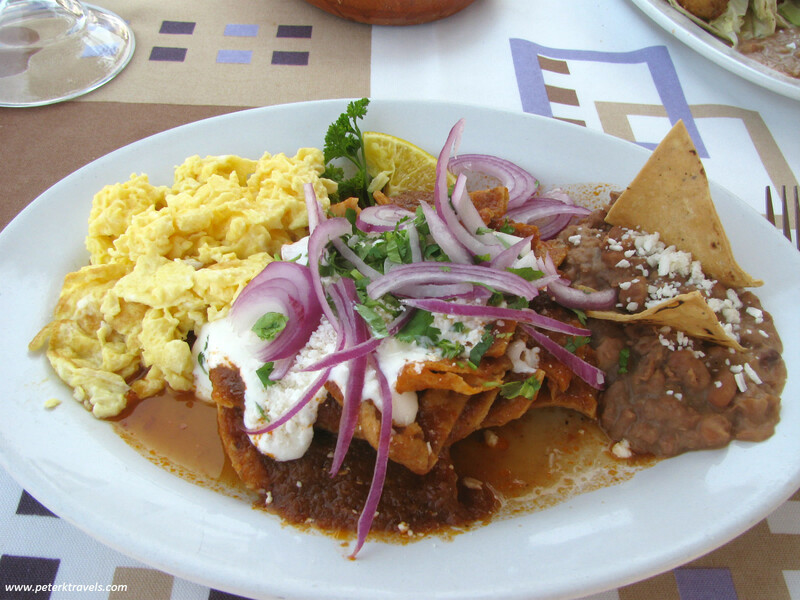 But now you make me want to visit the Yucatan…. I had to look Tzintzuntzan up, I wasn’t familiar with it. I haven’t spent much time in Michoacan, but I do want to visit Morelia, Uruapan, and Patzcuaro — looks like I could add Tzintzuntzan on to that trip. I also haven’t been to Oaxaca….which is probably the biggest glaring hole in my Mexico travels….need to remedy that! My brother lived in Morelia and Uruapan and they’re beautiful! I’m sure you’d enjoy them. I usually take a Mexico trip in February, Morelia and Uruapan might be just what I’m looking for.